Big thanks to Music and Sound Retailer for this recognition at NAMM 2016. 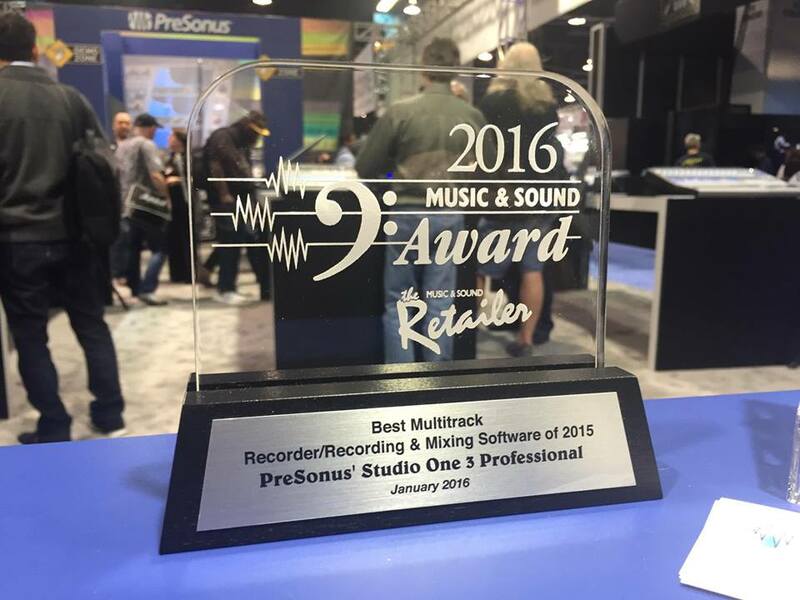 While the award bears MSR’s name, Studio One 3 Professional was chosen by music dealers who voted it to be the best of the year. We’re honored, and you all are too kind. To learn more about Studio One 3, click here.